For many years, we have been providing the homes and businesses of Jasper, Jones, Wayne, Smith, and Clarke counties, as well as the surrounding areas in southeast Mississippi, with quality disaster restoration and cleaning services. Water damage may not seem like a big deal in homes and commercial buildings, but it could end up costing you a lot if you do not react properly. It is possible to sustain water damage from rain and flooding, and many internal problems like leaks, overflows, and burst pipes can also cause issues. Water and moisture spreads rather easily through porous building materials which will result in widespread structural damage and mold growth. 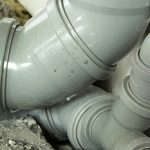 RestorationMaster provides water damage restoration and flood cleanup services to help cleanup water from leaks or floods in homes and businesses in Hattiesburg, MS. Our technicians will not only remove the excess water with our advanced equipment, but also restore the damage caused by the water. 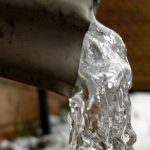 Temperatures don’t always reach below freezing in southern Mississippi area, but when they do, many properties are vulnerable to frozen and burst pipes. When this happens, the water within the pipes freezes and expands, applying significant amounts of pressure until the pipe bursts, spraying water in all directions. While the most important step is to shut off the main water line, calling for emergency services is essential to restoring the affected area to its original condition. RestorationMaster is available 24/7 in Hattiesburg, MS to handle these emergencies, using advanced equipment to extract the excess water and dry out the affected areas. Within a timely manner, we can have the entire structure returned to its original condition while providing the peace of mind that you deserve. While water damage will certainly spread without immediate treatment, sewage backups cause a whole new level of destruction. But cleaning up these messes yourself can result in dangerous consequences, including contracting a severe illness. But the technicians of RestorationMaster g provide emergency sewage cleanup services in the Hattiesburg, MS area to remove all wastewater while restoring a clean and safe environment. This is done through the use of commercial products and equipment, removing all soiled materials while disinfecting non-porous surfaces. Within a timely manner, you can expect the affected area to be returned to its original condition after a thorough cleanup job. 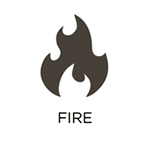 Fires are always difficult to deal with whether they are contained within one room or have engulfed an entire home or building. Getting the fire put out as soon as possible is important, but you must remember that the damage does not end when the fire is out. There is soot, smoke, and other corrosive byproducts left behind by the fire that will keep spreading and causing additional damage. You must start the restoration right away to avoid widespread permanent damage. 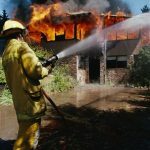 RestorationMaster provides fire and smoke damage restoration services in Hattiesburg, MS to clean up and repair homes and businesses that have experienced a fire. We will work quickly to cleanup damage from corrosive byproducts and rebuild the severe structural damage caused by the flames. Mold is difficult to keep out of your home or building because it is a naturally occurring substance that can grow anywhere that provides it with a moisture source. Once mold growth forms, it starts eating away at the affected surfaces and it will continue to spread and cause deeper damage. 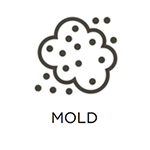 The mold spreads by dispersing it spores and exposure to the spores can lead to a range of health issues from allergic reactions to infections. RestorationMaster provides mold removal services in Hattiesburg, MS to remove the growth from homes and commercial buildings. Our technicians will test for and remove all mold growth and we will also protect the unaffected areas of your home as we work. The damage from a natural disaster is difficult to contain, which is why your personal items are at serious risk for damage when a disaster occurs. Damage from a flood, storm, fire, or mold growth can easily spread to your personal belongings, and it is possible for many of these items to experience permanent damage unless they are cleaned and restored right away. At RestorationMaster, we can clean and restore your content following any type of disaster in Hattiesburg, MS with our content cleaning and pack-out services. We can fully clean and restore your content onsite or take your content to our facility with our pack-out services if your home has been heavily damaged. The residents of Mississippi are well aware of the types of storms that can occur in the area, as well as the type of damage they can cause to your property. The Hattiesburg, MS area has experienced thunderstorms, tornadoes, and hurricanes that can damage homes and buildings with strong wind and rain. If your home or building has experienced serious exterior or structural damage from a storm, it must be stabilized and secured immediately to prevent even further damage. RestorationMaster provides storm damage restoration services to stabilize and repair homes and commercial buildings that have been damaged in a storm. We are properly equipped to restore water damage caused by rain or flooding and we can also repair physical damage to the exterior of your home or building. 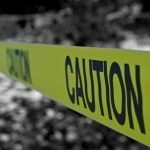 Serious accidents and violent crimes happen daily in the U.S., and while the odds of either happening on your property are low, you must know what to do if you do encounter this scenario. Trauma scenes from a violent crime or accident are very dangerous because there are usually biohazard materials such as blood and bodily fluids at the scene. It is important to keep your composure in these scenarios and call emergency responders right away. You will also need to call a professional that is licensed to clean up biohazard materials. 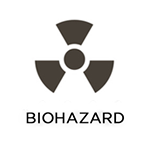 RestorationMaster provides biohazard cleaning services in Hattiesburg, MS to safely clean up any type of biohazard materials. We have the proper equipment to remove and dispose of biohazard materials and we will also thoroughly disinfect the area to prevent the spread of infection or disease. 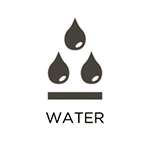 While the water must be extracted in the event of a flood, it is still present in the air to cause additional damage to the building materials. If not treated right away, mold growth will develop and spread to cause severe allergic reactions and breathing problems for everyone on the property. But to avoid these problems, call RestorationMaster for immediate dehumidification services in the Hattiesburg, MS area. Each of our technicians has been specially trained and has experience in using commercial-grade moisture detection and drying equipment. Within these services, vapor pressure, relative humidity, and moisture levels will be monitored as well as re-positioning drying equipment to ensure an efficient and effective drying process. Whether you have had a flood or a small water leak in the roof, dehumidification services are an essential part of the water restoration process for all property structures. No words can describe the traumatic feeling of finding your commercial building in an unstable condition after a natural disaster. As daily activities may need to be suspended, the situation can quickly grow stressful as the building must recover quickly. Don’t hesitate to call RestorationMaster for 24/7 catastrophe response and commercial restoration in the Hattiesburg, MS area. Our technicians are equipped to handle building structures of all sizes and types as well as restore them from all types of damage. With years of experience and training, we will handle all phases of the restoration process, from emergency board ups to disinfecting the building materials. With a trusted name and emergency response, you can trust us to arrive fully equipped on your property within 2 hours of your first call. If you have recently experienced a natural disaster or violent crime scene in the Hattiesburg, MS area, do not hesitate to call RestorationMaster at (601)651-4022. We will arrive within 2 hours of your first call and also work with insurance.